Earn $0.80 in Rewards credit. Click to learn more. 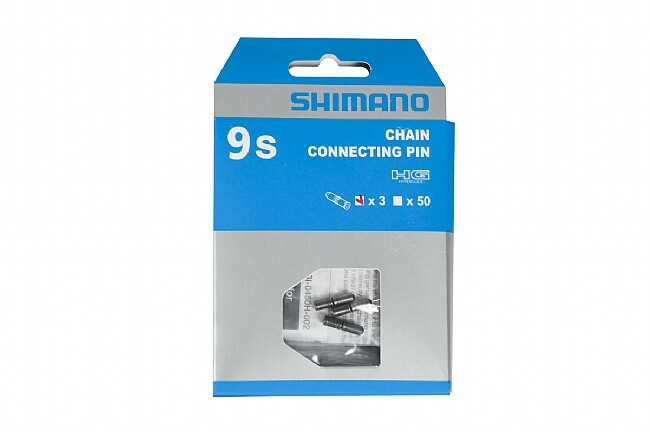 One of these Shimano 9-Speed Chain Connecting Pins is required each time you need to reconnect links on a Shimano 9-speed chain. Sold as a pack of 3.